Many think of dandelion as nothing more than a pesky weed. However, that hasn’t always been the case. In fact, gardeners in the past used to actually weed out grass, which they considered a weed, to make room for this medicinal flower. This may seem surprising at first, but less so when you consider that the dandelion is probably more nutritious than most of the vegetables in your garden. Dandelion is considered a bitter herb that is chock full of vitamins A, B, C, and D and contains minerals such as iron, potassium, and zinc. In fact, it even contains more protein, almost as much iron, and four times the vitamin A content found in spinach! It also has more vitamin C than tomatoes! How’s that for a common weed? But that’s just the beginning. At one time, the dandelion was an essential herb that all natural-healers kept as part of their medicinal arsenal. In fact, many believe that it was so effective because it acted more as a multivitamin in a time when the concept of vitamins was completely foreign. However, in addition to its vitamin content, the dandelion contains powerful phytochemicals that have profound cleansing and healing effects on the body. Historically, the root and leaves have been used to treat liver problems. Native Americans boiled the dandelion in water and used it to treat a variety of issues from kidney disease, swelling, skin problems, heartburn, and upset stomach. In Chinese medicine, it has been used to treat conditions such as stomach problems and appendicitis. In Europe, it was used for more common ailments such as for fever, boils, diabetes, and diarrhea. Today, dandelion is commonly used as a diuretic that improves the function of the pancreas, spleen, stomach, and kidneys without depleting potassium from the body. The leaves are also helpful in stimulating the appetite and helping with digestion. But true herbalists know that, medicinally, the most powerful part of the dandelion is the root, and its true power lies in helping to detoxify the liver. This is because dandelion is one of the strongest herbal lipotropics known. That is to say, it flushes fat deposits from the liver, thereby helping to relieve chronic liver congestion. It also increases the production of bile. And studies have proven that it actually has "liver healing" properties. 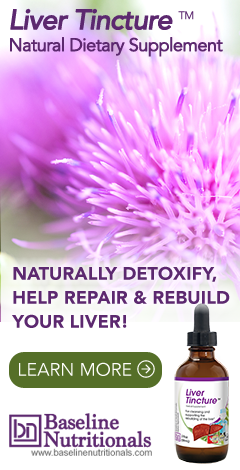 Considering its primary benefits for liver and kidneys, it's not surprisingly, then, that Jon Barron uses dandelion root in both his liver formulas (liver flush tea and liver flush tincture) and his kidney care formula. Another healthful benefit is that every part of the dandelion has some antioxidant properties and can also help improve the immune system. Dandelion root is also highly effective as a blood cleanser because it helps strain and filter toxins from the blood and has beneficial effects on both red blood cell count and hemoglobin count. Help regulate blood sugar and insulin levels. Regulate blood pressure in the body due to its fiber and potassium content. Help lower and control cholesterol levels. Help slow cancer growth and prevent its spread. Help in maintaining bone health. Help treat skin diseases caused by microbial and fungal infections through use of dandelion sap. Help treat acne through use of dandelion juice. Considering all these health benefits and the fact that a cup of dandelion leaves contains merely 25 calories, you may often find dandelion leaves in salads, sandwiches, and teas. They also make a good addition to your morning smoothie. However, the leaves can have a bitter taste (a trait common to most liver herbs), so it is recommended to blend it with sweeter, flavorful fruits or to blanch them for 20 - 30 seconds before use. Some people even use ground and roasted dandelion root as a caffeine-free coffee substitute. You can find dandelion in a variety of forms from fresh to dried to tinctures, liquid extracts, teas, tablets, and capsules. If using fresh dandelion, you will want to make sure it is organic, or if using from your garden that you use leaves that haven't been treated with pesticides. And let’s not forget dandelion wine, which is made from the yellow blossoms. The blossoms are high in luteolin, a powerful antioxidant renowned for its ability to manage the inflammatory response. The reason this herb is healthy is because IT'S BITTER. Sweetening it defeats its purpose. Bitters are very good for health. Our American diet is far too sweet and this author actually say's to sweeten it?? I love this herb big time! This is very informative blog. First time, I am hearing about Dandelion herb. I think that it will be very beneficial because the herb contains all the vitamins. Thanks for awaring about this. I used to see this flower daily but with no idea of its name and the powerful work it does. I feel empowered. Tomorrow i am going to fill up a huge bag with this dandelion flower. Nomore health problems from today. wow,i never knew.am very very much enlightened.fantastic. Great article! I drank some dandelion root tea tonight to see if it will help me shed excess water. In my body will it???? I am very intrigued to find out where you got your information regarding vitamin D in Dandelion Root? As far as I can determine none of the official nutrient evaluation websites show vitamin D in Dandelion Root or any other vegetable for that matter. The only plant based sources I can find are Shitake and Maitake mushroom (only if exposed to UV) and hemp seed. We list all our resources at the bottom of the articles. Have you checked out University of Maryland's Medical Center? Now reported to cure cancer - first read of it being dehydrated and taiken in powder form daily to cure prostate cancer - since read that dandelion root tea cures other forms of cancer! Can you take it in supplement form? I do not like tea . I could use something to help my digestive disorders and immune in general. It is indeed a “bitter herb”. I’ve tried to eat it by itself but it’s a little too strong for me so I’ll stay with supplement form.